The fact that India is a secular country was reminded by the people of Udaipur, when they welcomed and treated me like their own sister. With a pleasant smile on their face, their tendency to render hand for help whenever in need made me feel brotherhood. I felt like I’m landed again on my hometown. 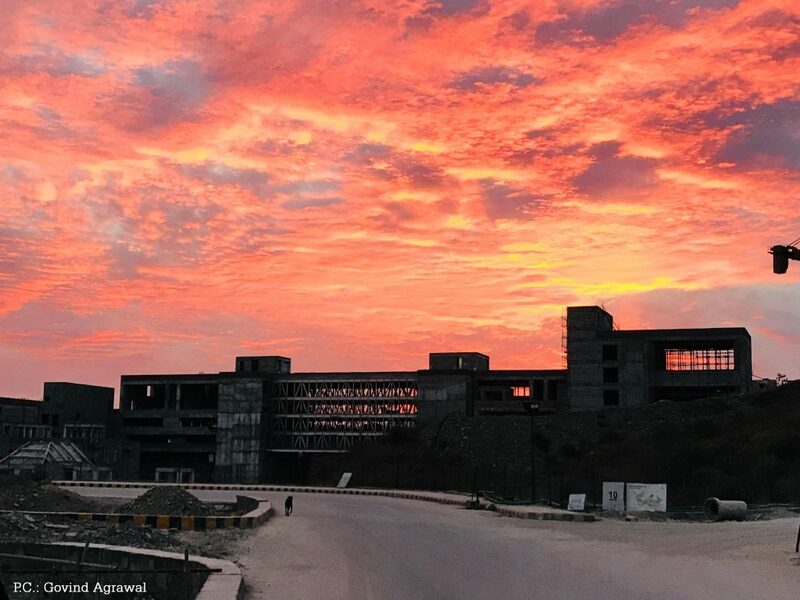 Having come from down south, leaving home for the first time, as a fresher my first day at IIM Udaipur was an unforgettable memory. Warm welcome from the locals of Udaipur made me feel better. The fears which I had in my mind vanished. However, I was slightly worried about my colleges in college, whether I could be able to mingle with them normally. Having lost in the maze of my college, I reached my college mess. Most of them were communicating in Hindi, as a person who does not know the language, I was frightened. My survival here would be difficult was the thought of running on my mind. Felt secluded from the rest of the people. Thought of marking that day to be a bad day for making a bad decision to move away from my home. Fear of getting lost in this crowd started dominating me. I faced many hard times sitting alone as the language barrier was hindering me from talking to others. At that time, I received a mail from a faculty stating that a presentation should be made the next day. I saw many people sitting in groups and discussing the presentation. I was frustrated. I wanted to mingle with everyone but until that time I didn’t have any spark to start connecting with people. The day came. I went to the stage for presenting the topic which was given to me. As I expected I was not satisfied with my presentation. But I was surprised to see many who were volunteering themselves to guide me. From that day in classroom, I started introducing to a number of people who are very unique in their own way. The culture here introduced me to a number of new things which I will cherish for the rest of my life. There were people from all parts of India with diversity is itself a boom. This diversity in terms of culture and the warmth of the people in this city are the two things which make my college unique. Which ABG Company I Would Like To For? I have always wanted to work for the Research and Technology Sector of Aditya Birla Group. This is because I love to explore new technologies every day in various fields. The company of Aditya Birla Group which is suiting my aspirations is “Aditya Birla Science and Technology Company Private Limited”. Here they are undertaking research on chemicals, cement, fibers etc. Since my heart and soul is in exploring things I’m confident that I will be able to invent new technologies and also give innovative solutions by which the companies aspiration to be a world-class organization can be accomplished.